The annual showcase of best Czech theatre, Festival Divaldo, in Pilsen, faithfully incorporates one small-scale, low-key production in a nearly-experimental, or, at least, non-conventional style; the kind of production at which you nod approvingly, while waiting for something more obviously topical from big companies and big stages. In 2016, the small-scale Double Home (Dvojí domov) is not that easy to forget. 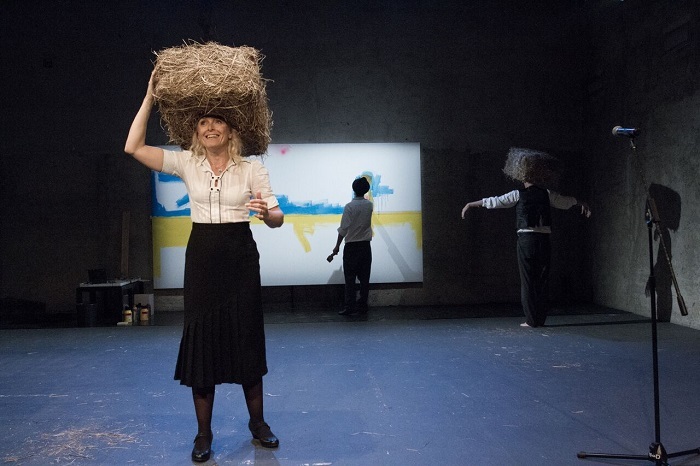 Jan Nebeský’s production draws from the texts of Jan Čep (1902-1974), a Catholic essayist who lived in French exile following the Communist takeover of Czechoslovakia in 1948. Čep writes about longing for his native landscape and of the inevitability of worries brought about with aging. He reaches out for both his childhood memories and for God as the ultimate guarantee that all is not lost even when old age removes things into the distance. Čep is never sentimental though, and neither is the unpretentious delivery of the three actors on stage. During the performance, behind the actors, the artist Igor Korpaczewski paints on a large canvas the inner landscape of a Čepian world-view, and, on one side of the stage, Martin Dohnal on piano plays his music to the same effect. Čep’s longing is for a rural paradise with bales of hay on the set and potatoes on the table, but I cannot help thinking that his wistful no-nonsense take could also be relevant for the many immigrants newly-arrived in Europe. Nebeský (born 1953) realized Double Home for the Jedl o.s. and NoD Experimental Space in Prague. Beyond the Czech language, I believe Čep is best available in German, but he managed to publish autobiographical fragments in French, too (Ma soeur l’angoisse). Jan Zetiloukal’s L’exil de Jan Cep (2014) provides further reading. There were other productions in the Divadlo selection which addressed national heritage issues on a grander scale; for example, Martin Glaser’s direction of the beloved Jaroslav Havlíček novel Oil Lamps (1935, 1944). Glaser and Olga Šubrtová dramatised the novel for the Brno National Theatre. A spinster marries her cousin without knowing about his syphilis. 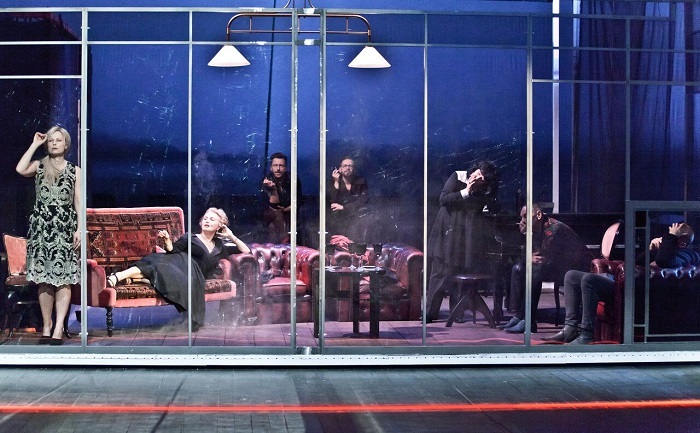 Having a period piece in the Divadlo selection may seem a conservative choice, but Glaser and the actress Hana Tomáš Briešt’anská show, beyond any moralism, how being true to oneself means inviting tragedy. For a contemporary viewer, syphilis may not be a prime concern, but the many modern-day ailments which have followed are; the repercussions brought by a fatal illness remain timeless, which the production shows without underlining the point. The directorial duo, SKUTR (”Scooter”) of Lukáš Trpišovský and Martin Kukučka, adapted Boris Vian’s 1947 cult novel Foam of the Daze (L’ecume des jours) for the Klicpera Theatre in the town of Hradec Králové. The novel is a surreal cinematographic read and every paragraph sounds like a set designer’s wild dream. 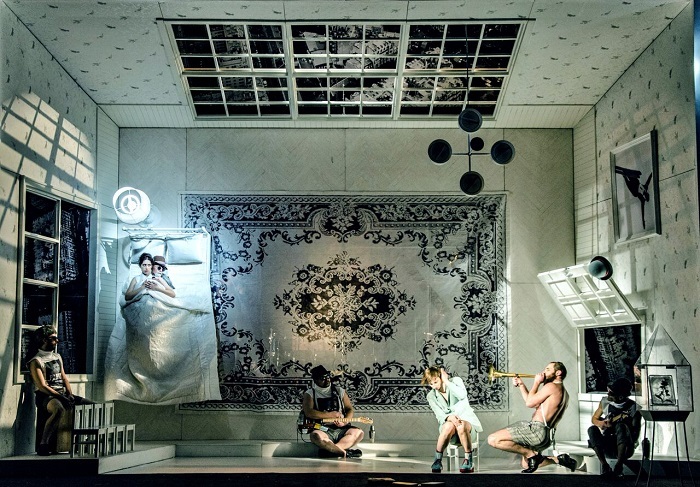 However, Jakub Kopecký’s set and Simona Rybáková’s costumes do not attempt to illustrate every whim of the narrative, but establish a fairytale crime scene or love spot, depending on the accent of the goings-on: at times, SKUTR emphasize Vian’s oppressive view of what work does to those compelled to meaningless and ultimately destructive tasks; at times, the directors follow the desperate love intrigue with compassion, which they—quite remarkably—manage to do without flirting with performative decorativeness. SKUTR’s second contribution to Divadlo was Georg Büchner’s Woyzeck, in an interpretation of the Pilsen J.K. Tyl Theatre. This time, Jakub Kopecký’s huge set commanded more attention than actual use. 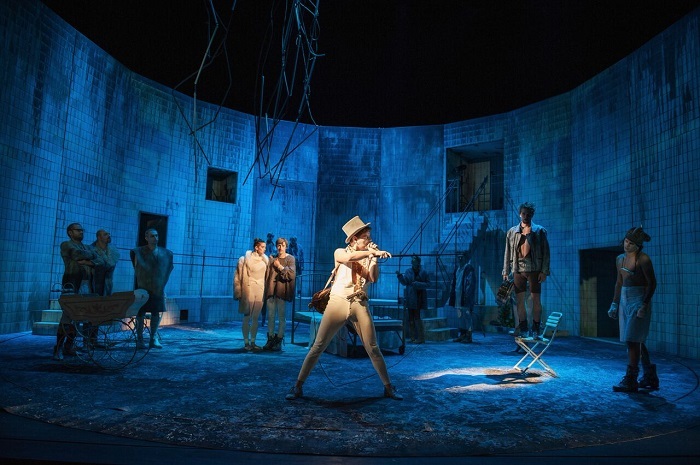 With Woyzeck, I had time to wonder why there is a microphone stand in so many Czech and Polish performances, and why actors grab the mike to deliver some isolated lines, even though they all carry mikes attached to their cheeks. Of local offering, more delightful was Tomáš Dvořák’s puppet version of Molière’s The Doctor in spite of himself, at the Alfa Theatre, with its inventive and witty role changes between puppets and actors: characters grew in size or withdrew into their real scale according to how much courage and self-esteem took over or forsook them. Director Jan Mikulášek and dramaturg Dora Viceníková always create thrilling productions. (In Critical Stages issue 12, Max Wyman reports on their Hedonists http://www.critical-stages.org/12/the-ship-may-be-sinking-but-in-the-czech-republic-the-band-plays-on/.) The 2016 Divadlo showed their Obsession (Posedlost), from Theatre on the Balustrade in Prague (Divadlo Na zábradlí). 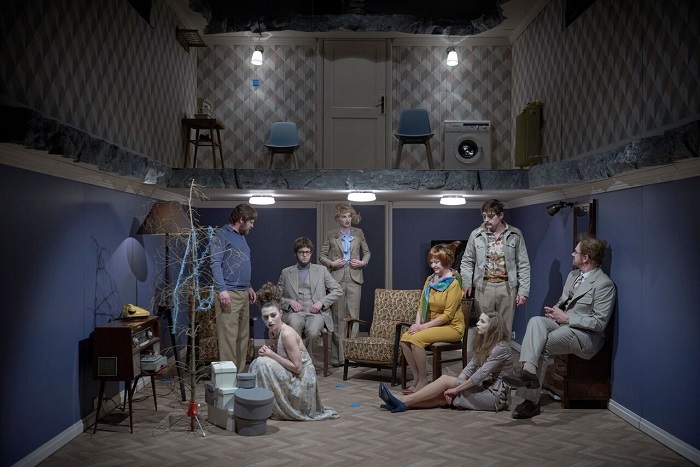 The set, by Marek Cpin, consists of two apartments on top of each other and doors to a corridor which hurls new characters into the apartments at unexpected moments. Obsessions are encounters between lovers, would-be lovers or ex-lovers. Very few words are exchanged, but, instead, gestures are grand, precise and meaningful. Sometimes they are gags, only to lead to a surprise turn in the very next moment. 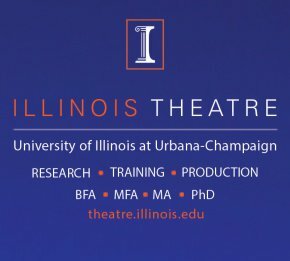 I wished I could have seen the show one more time immediately afterwards, but I also realized that, in doing so, I only voiced my wish to control events—love—which are essentially beyond control. Stylish is the one adjective I would use to describe Mikulášek’s direction, and stylized is how the actors come across. Playfulness is the general tone of the Divaldlo, and I definitely do not have cheap, intellectually lazy irony in mind. 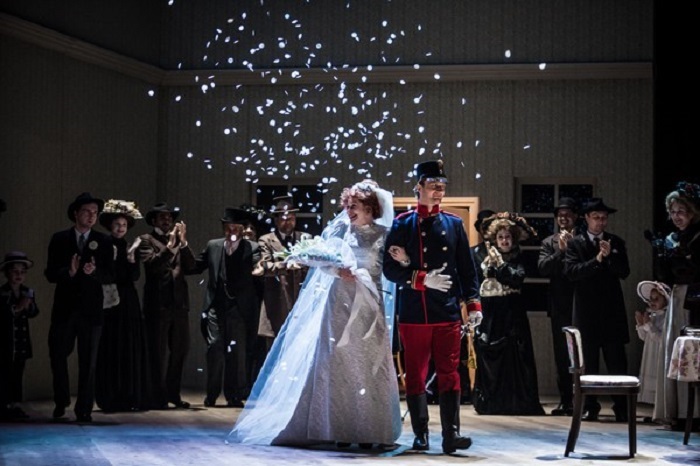 Talking of style, in Ivan Burajs and HaDivadlo’s (Brno) modern-day clothing production of Uncle Vanya, Sonya (Táňa Malíková) only confides in Yelena (Lucie Schneiderová), because Sonya is so infatuated with the idea of Astrov that she must speak to someone, anyone. 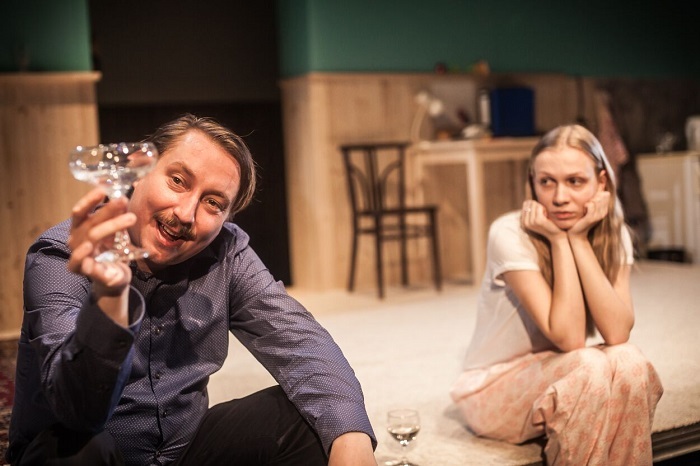 I am reminded of the Helsinki City Theatre version (2014) by the Hungarian director Tamas Ascher, where the drink rising in their heads brought about a short-lived solidarity between the two women. Back in Pilsen, concerns are not hammered home to the audience. For brutal messages, one must look at the foreign guests, of which Kornél Mundruczó’s Disgrace was discussed by Thomas Irmer in Critical Stages issue 8 http://www.critical-stages.org/8/no-exit-no-explanation-no-exit/. 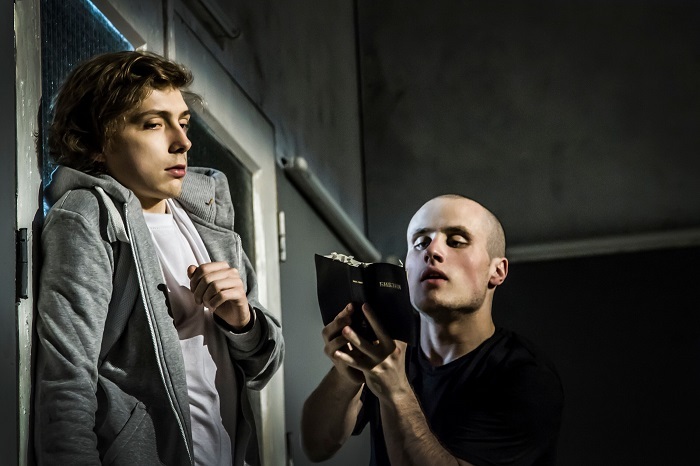 Kirill Serebrennikov adapted Marius von Mayenburg’s The Martyr (Märtyrer, 2012) from Germany into Russian society for his Gogol Centre production in Moscow. The religious fanatic Venyamin is now Russian Orthodox. He quotes from the Old Testament to condemn everyone around him: his mother, his schoolmates and, above all, his biology teacher who represents the voice of reason and compassion. Everyone else, authorities included, give in to Venyamin’s demands, and, before you know it, the entire social structure has slipped into the command of hate-filled literalisms from the Bible. Good-natured, relaxed acting makes this even more frightening, and so does the knowledge that, in real life, Russian leaders do not hesitate to rein religion into the service of nationalistic political goals. Krystjan Lupa has been directing Thomas Bernhard since 1992. The Polish master’s five-hour version from the Austrian master’s short novel-monologue Woodcutters (Holzfällen, 1984) has twelve characters on stage plus one (Piotr Skiba), in the role of Thomas Bernhard, who sits aside and keeps falling asleep when forced to listen to the others babbling about their role in art and the role of art in their lives, or rather in their careers. Bernhard’s criticism of the many hypocrises within the art world is every bit as biting as it was in the 1980s, and Lupa makes the artists really boring people. There is very little variation of rhythm and the movement of actors is stripped to a minimum: no wonder the Bernhard character cannot keep his eyes open. Unfortunately, the same happened to me and I had to leave, missing the last fifty minutes so as not to tumble from my seat. I understand that my praise for the Wroclaw-based Teatr Polski show’s hyperrrealism is misguided, but I cannot resist the temptation. Five hours of monotony makes it absolutely clear that Bernhard’s artists are overblown in their self-appraisal, but it also speaks volumes about the commitment Lupa demands from his audience to his artistic declaration. A stunning feat. 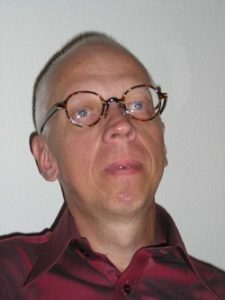 *Matti Linnavuori wrote theatre criticism between 1978 and 2013 for various newspapers and weeklies in his native Finland. In 1985, he worked for the BBC World Service in London. 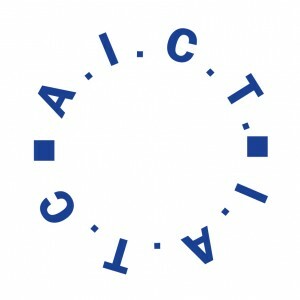 Since 1998, he has presented papers at numerous IATC events. In the 2000s, he wrote for Teatra Vestnesis in Latvia. 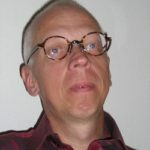 Since 1992, he has written and directed several radio plays for YLE the Finnish Broadcasting Company. In March 2016, his play Ta mig till er ledare (Take me to your leader) premiered at Lilla Teatern in Helsinki.